Rajas Grilled Cheese Panini + Tillamook Cheese Giveaway! Rajas…isn’t it great when you can finally put a name to something you’ve been eating forever? I never knew until about a year ago that bold-flavored strips of roasted chiles and onions are called rajas. I made the connection not in the context of rajas con crema or any other traditional Mexican dish. Nope, my first exposure to the term rajas came with fries. There was a long line of people waiting for the Rajas Fries from LA’s Frysmith at a food truck event I attended a while back. This dish, their most popular, consists of “fire-roasted poblano chiles, caramelized onions and shawarma-marinated steak with Jack cheese”. Over fries. Sounded amazing to this fry fan. I made it to the front of the line and I had to crane my neck to make eye contact with the guy taking the orders (food truck windows are so high up!). I’d never heard the term rajas before. I debated in my head whether this was a Spanish word and therefore I should pronounce it “rrrrah-has” or if it was some other language and I should just hit it with a regular ol’ American “rah-jas”. Taking a cue from the poblanos and out of respect for the seven years of Spanish I took in school, I went with a tentative “rah-has”. Phew! The guy repeated it back to me the same way. Hurdle surmounted. Take it from someone who usually doesn’t even add so much as ketchup to fries (I’m a fry purist), these rajas-and-marinated-steak-loaded fries were crazy good! Just to be clear, the roasted poblanos aren’t especially spicy, but they bring a ton of flavor and just a hint of heat. In celebration of National Grilled Cheese Month, Tillamook asked me to contribute a recipe for the Grilled Cheese Recipepalooza feature on their Loaf Life blog. When I saw that pepper jack these was among their cheeses I could choose from, I immediately thought of the rajas from Frysmith to pair with it. I grilled the onions and peppers in minutes right on the panini maker. With the addition of pepper jack, things do start to get a little spicier so if you’d rather keep it on the cooler side go for regular Monterey Jack. The giveaway will close on Sunday, April 22 at noon PDT. I will use random.org to select one winner and I will announce the winner in this post. I will contact the winner via e-mail – if I don’t receive a response within 5 days I will draw another name. My apologies to international readers, the prize can only be shipped to U.S. addresses. ** UPDATE 4/24/12: Congratulations to our winner – #39 Neena! Preheat the panini grill according to the manufacturer’s directions. Slice off the tops and bottoms of both peppers. Stand each one up on its end and slice it open from top to bottom. With the poblano you’ll be able to open the pepper out flat; with the red bell pepper you’ll need to cut the walls of the pepper a section at a time. Remove and discard the seeds and trim any white ribs. Lay the peppers cut side down on the grill and close the lid. Grill the peppers until they’re charred and blistered, 5 to 7 minutes. Transfer the peppers to a paper bag and leave them in there for 20 minutes to allow the steam to release the skin. While the peppers are steaming, drizzle the onion rounds with oil and grill them until they’re tender with dark grill marks, 6 to 8 minutes. Transfer the onions to a medium bowl, separating the rings. Keep the panini grill on. One at a time, remove the peppers from the paper bag, peel off the skins (if they don’t come off easily, try putting them back in the bag to steam for a little while longer) and slice the peppers lengthwise into strips. Toss the peppers in with the grilled onions. For each sandwich: Lay a slice of pepper jack cheese on a slice of sourdough bread. Top the cheese with a generous pile of peppers and onions and second slice of cheese. Close the sandwich with another slice of bread. 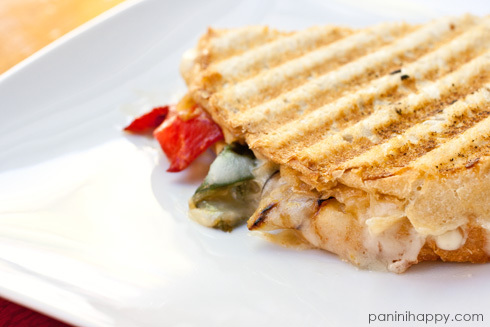 Grill the panini until the cheese is melted and the bread is toasted, 4 to 5 minutes. * Some grocery stores may label them as “pasilla” peppers, which is a technically incorrect (but common) designation. I would totally dig into the pepper jack first! But the whole package would be dug into in quick succession! I would love to get into that cheddar, yum! I want that smoked black pepper white cheddar. I love Tilamook cheese, but I’ve never seen that variety. Their sharp cheddar is one of my favorites. Oh yum… I’d love that smoked black pepper white cheddar! It looks fantastic! I like the looks of that sandwich. I might have to make something similar for dinner tonight! oooh! smoked black pepper white cheddar! Hot habanero jack! On top of a homemade mozzarella pizza ! Oh yum! Either the cheddar, or pepper jack for sure. I love their cheeses! pepper jack would be yummy on a grilled cheese! the black pepper with cheddar sounds amazing! Pepperjack is my ALL TIME favorite cheese! I am all over the black pepper and smoked white cheddar. I can barely stand the wait! the smoked black pepper white cheddar looks to die for. Honest to goodness, that’s what I’d dig into first! I would totally dig into the smoked black pepper cheddar! It sounds awesome!! Smoked black pepper white cheddar, that intrigues me! I would love to try the Hot Habanero Jack! YUM! The smoked black pepper white cheddar for me! Smoked black pepper White cheddar The best of two worlds. Sharp Cheddar of course, I’m from Vermont! The smoked black pepper white cheddar so soooo good! Id dig into the Sharp Cheddar first! Yummm! Holy cow, I would MOW through that sharp cheddar. And what a fantastic idea with the rajas grilled cheese! With out a doubt the PEPPERJACK!!!!!!!!!!!!!!!!!!!!!!!!!!!!! I would taste the sharp cheddar first, but my son would probably steal the other 3 and make grilled cheeses for everyone! Hubby and I would love to try the Hot Habenero Jack on a grilled cheese. Or even better on a burger. Yum! The Smoked Black Pepper with White Cheddar! Yum! 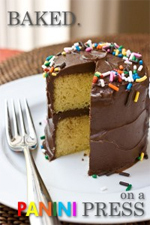 Yummy, I will feature it as recipe of the week, just a thumb and link to your site. Hope you don’t mind. Have a wonderful weekend! Hot Habanero Jack, most definitely!!! I would have to try the Smoked Black Pepper White Cheddar first. I would start with the Smoked White Cheddar. How good does that sound!! Smoked Black Pepper White Cheddar is intriguing and also the Hot Habanero Jack. I have neither seen no tried either of these flavors so it would be a tough decision which to dig into first. I would jump into the sharp cheddar 1st! I would love to try the sharp cheddar. Pepper Jack sounds great to try first. I would be digging into the Hot Habanero Jack first! 🙂 Thank you. I would go for the pepper jack. And hide it from the rest of the family! Tough choice but I pick the sharp cheddar. 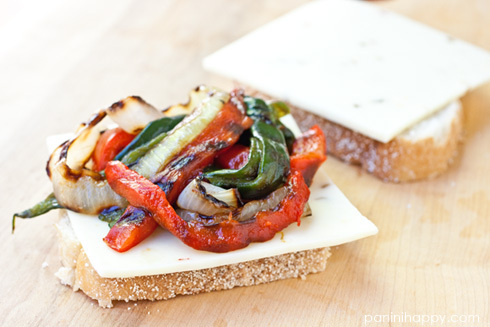 I’d dig into the pepper jack first so I could make the Rajas Grilled Cheese Panini – sounds delicious. But want to try all the cheeses – all so sooooo good. I would start with the smoked black pepper white cheddar. I think it would be delicious in a sourdough/roast beef/dill pickle panini. Definitely, the Smoked Black Pepper White Cheddar is the one I want to try first. It sounds deliciously savory! 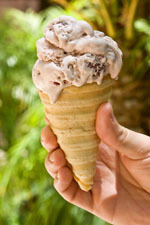 the Tillamook smoked black pepper! I’d try the smoked black pepper white cheddar first. Love visiting them but this is a new flavor. The smoked black pepper white cheddar is intriguing! Never heard of it before. But I’d happily eat them all. Sharp cheddar looks good to me! The smoked black pepper white cheddar sounds soo different and delicious ! Definately my first choice! The smoked black pepper white cheddar sounds delicious! Hot habenero jack,, we absolutely love hot cheeses. Whether melted over some tortilla chips or ontop of a grilled burger. Just about any kind of pannini cheesy goodness.! Pepper jack – my favorite! The smoked black pepper white chedder, than all the others. I love cheese. I would cut right into the ?Smoked Black Pepper White Cheddar. Sharp Cheddar for sure perfect for crackers and to shred on veggies! Definitely the smoked black pepper white cheddar! Mmmm. I would love to try the Black Pepper Cheddar – that would be a new one for me! That’s a hard one. I think the hot habanero jack with the smoked black pepper Cheddar a very close second! I love Tillamook cheese! I love Tillamook cheese-had a chance to tour their factory and it was awesome! I would try the PepperJack first! How awesome – I’d love to tour their factory! Habanero Jack! I love a good Pepper Jack…but really the spicier the cheese, the better in my opinion. I’d go for the Hot Habanero Jack first! I think I’d try the sharp cheddar first as that’s my favorite. YUM! thanks for hosting! I’d like to try the smoked black pepper white cheddar….sounds good! Wow, I like the sound of the Smoked Black Pepper White Cheddar. The smoked black pepper white cheddar cheese! Delicious! 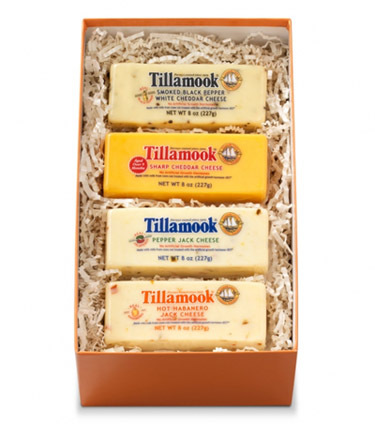 I would love to try the pepper jack cheese, love tillamook! I would try the Smoked Black Pepper White Cheddar first. Definitely the Smoked Black Pepper White Cheddar! Definitely the smoked black pepper white cheddar!!!! I would go for the sharp cheddar but my husband would go for the pepper jack.Thanks! Let me at the Pepper Jack, please! Id like the Smoked black pepper white cheddar. sounds so different and delicious! The smoked black pepper and white cheddar sound amazing. Sharp cheddar is a perfect combo for crackers, veggies, omelets – thanks! I would love to try the black pepper and white cheddar. It sounds delicious!! mmm Smoked Black Pepper White Cheddar sounds awesome. I cannot ever find Tillamook here, very sad. I’d like to try the smoked black pepper white cheddar! What a fantastic giveaway, Kathy! Sorry to see I missed it, but just wanted to say your grilled cheese looks sensational! Love that big pile of roasted veggies on top. Great recipe! Your grilled cheese looks wonderful! We stopped at a Mexican restaurant for breakfast this morning on our way back from a camping trip. My Huevos Rancheros had rajas on top. Soooo good. The poblanos are better than bitter green bell peppers. Maybe I should start using them all the time instead of the green bells. That sandwich is on my to-do list! I guess I should add which cheese I’d love: It would have to be the hot habañero! This sounds yummy! On step 4, should I close the lid of the panini maker when grilling the onions? Thanks! Previous post: Brie, Basil, Bacon & Blue Panini…and a Breville Panini Press Giveaway!